New Monthly Column … Astrology! Here at Numerologist.com our focus of course, is numbers. But as some of you know, both Roy and I are also well-versed in Astrology. And if you’re anything like us, you too are fascinated with more than one system of divination. This is why I thought it would be fun for me – and hopefully, super-helpful for you – to offer you a monthly Astrology post. Here’s where I’ll elaborate on a specific aspect of astrology each month in order to help you gradually build an understanding of this ancient system of knowing. To begin, I’d like to focus on the broadest topic: Zodiac Astrology. What is Zodiac Astrology and how can you gain insight into yourself using it? 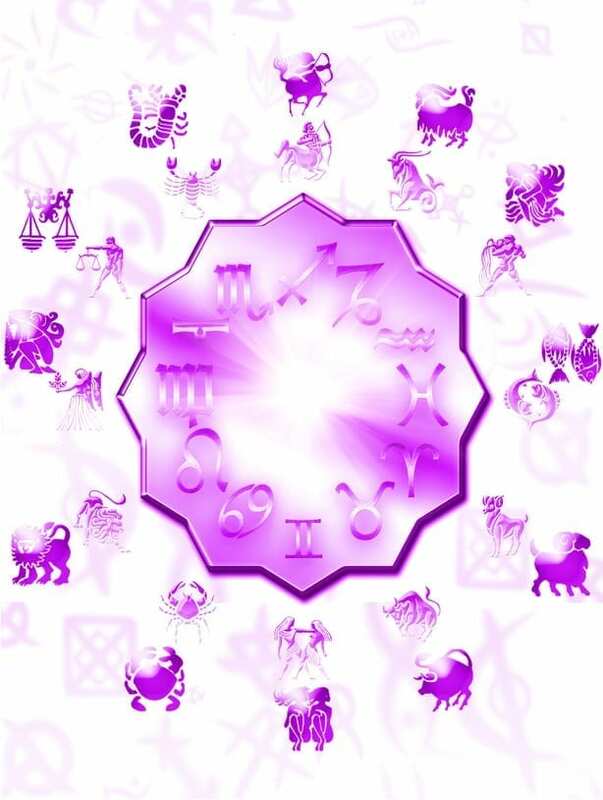 The term ‘Zodiac Astrology’ refers to a particular element of astrology. Specifically, it’s the 12 signs that make up the circle, or Zodiac Wheel. This circle of 12, 30° (30-degree) segments, is a kind of celestial coordinating system, based on the apparent path of the sun over the course of a year, across the ‘celestial sphere’ as we perceive it from here on Earth. Technical concepts aside, this system was developed by the Babylonians almost 3,000 years ago, at a time when astrology and astronomy were not seen as separate systems of study. Today we see zodiac astrology most commonly in newspapers and many magazines, where simple, ‘horoscope’ forecasts are offered, based solely on your sun sign and how it relates to the transits and aspects of planets in our solar system. If ‘reading your horoscope’ is the extend of your astro-knowledge right now, please understand … there is much, much more to this complex and ancient system of divination than that! There’s a whole lot more to astrology than simply what sign the sun was in at the moment of your birth. In fact, to be well-versed in this ancient divination system, you would know about the sun, moon and all the planets in our solar system. You’d know about the houses, signs and aspects, retrograde motions, progressions and transits. And it’s my aim with this column, to get you well on your way to knowing all of these things :D But I want to be sure you enjoy the journey. That’s why you’ll find the list below pretty simple to start. I want you to have a solid foundation to build on, and that means one layer of info at a time! Aries is the 1st sign in our zodiac wheel. It’s symbol is the Ram. Its qualities are associated with the 1st house (the 1st 30 degrees). Another way of saying this is that Aries is the ‘natural ruler’ of the 1st house. Aries carries the elemental quality of Fire. The Sun is in Aries* between March 21-April 19 each year. Taurus is the 2nd sign of the zodiac. It’s symbol is the Bull. It is the natural ruler of the 2nd house and it’s elemental quality is Earth. The Sun is in Taurus* between April 20-May 20 each year. Gemini is the 3rd sign of the zodiac. It’s symbol is the Twins. It is the natural ruler of the 3rd house and it’s elemental quality is Air. The Sun is in Gemini* between May 21-June 20 each year. Cancer is the 4th sign of the zodiac. It’s symbol is the Crab. It is the natural ruler of the 4th house and it’s elemental quality is Water. The Sun is in Cancer* between June 21-July 22 each year. Leo is the 5th sign of the zodiac. It’s symbol is the Lion. It is the natural ruler of the 5th house and it’s elemental quality is Fire. The Sun is in Leo* between July 23-August 22 each year. Virgo is the 6th sign of the zodiac. It’s symbol is the Virgin. It is the natural ruler of the 6th house and it’s elemental quality is Earth. The Sun is in Virgo* between August 23-September 22 each year. Libra is the 7th sign of the zodiac. It’s symbol is the Scales. It is the natural ruler of the 7th house and it’s elemental quality is Air. The Sun is in Libra* between September 23-October 22 each year. Scorpio is the 8th sign of the zodiac. It’s symbol is the Scorpion. It is the natural ruler of the 8th house and it’s elemental quality is Water. The Sun is in Scorpio* between October 23-November 21 each year. Sagittarius is the 9th sign of the zodiac. It’s symbol is the Archer. It is the natural ruler of the 9th house and it’s elemental quality is Fire. The Sun is in Sagittarius* between November 22-December 21 each year. Capricorn is the 10th sign of the zodiac. It’s symbol is the Goat. It is the natural ruler of the 10th house and it’s elemental quality is Earth. The Sun is in Capricorn* between December 22-January 19 each year. Aquarius is the 11th sign of the zodiac. It’s symbol is the Water-Bearer. It is the natural ruler of the 11th house and it’s elemental quality is Air. The Sun is in Aquarius* between January 20-February 18 each year. Pisces is the 12th sign of the zodiac. It’s symbol is the 2 Fish. It is the natural ruler of the 12th house and it’s elemental quality is Water. The Sun is in Pisces* between February 19-March 20 each year. *These dates are approximate and can change from year to year – especially during leap years! If you’re new to astrology, this monthly post is designed to take you, step-by-step, through the basic elements. In this way, you’ll learn exactly the way I did – by beginning with the simplest elements, applying them to your own chart, and then moving on to learn more. In time, you’ll be amazed at how much you understand about both yourself and the correlation of energies reflected by the planets, signs, houses and aspects! And now for your (super-easy!) “homework” … what sun sign are you and what do you already know about your sign? Let me know in the comments below!